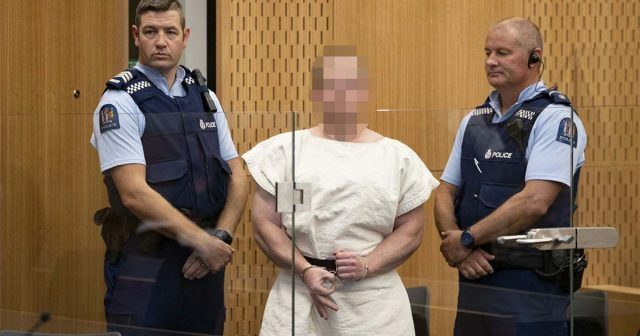 Image Attribute: Brandon Tarrant, 28, appears in court in New Zealand on Saturday after police apprehended a car he was traveling in shortly after the Christchurch attack. So do broader phenomena like widespread Islamophobia with the crackdown on Turkic Muslims in Xinjiang as its extreme, and growing ant-Semitism These phenomena are fuelled by increasing intolerance and racism enabled by far right and world leaders as well as ultra-conservatives and jihadists. As a result, men like China’s Xi Jinping, India’s Narendra Modi, Hungary’s Victor Orban, and US president Donald J. Trump as well as ideologues such as Steve Bannon, Mr. Trump’s former strategy advisor, shape an environment that legitimizes violence against the other. Civilisationalism creates the glue for like-minded thinking, if not a tacit understanding, between men like Messrs. Xi, Orban, Modi, and Trump, on the values that should undergird a new world order. These men couch their policies as much in civilisationalism as in terms of the defense of national interest and security. This week’s attack in Christchurch is one of the multiple civilizational writings on the wall. These alarm bells coupled with the tacit civilisationalism-based understanding between some of the world’s most powerful men brush aside the lessons of genocide in recent decades. Mr. Rahman argues that a civilizational state rejects human rights, propagates exclusivism and institutions that are rooted in a unique culture rather than principles of equality and universalism, and distrusts minorities and migrants because they are not part of a core civilization.